This spectacular house is located close to downtown Westborough and has everything you've been looking for on a large 1 1/2 acre lot! Fabulous modern floorplan blended with characteristic charm such as the beamed family room ceiling, and custom woodwork in the dining room. The custom-designed kitchen comes complete with stainless appliances, an abundance of upgraded cabinets w custom granite counter top, dining area and wood floors. Some of the many recent updates are: 3 custom renovated full baths, new energy efficient hot water heater, central air conditioning, freshly painted, vinyl decks and so much more! Nothing to do but move in and enjoy the all around views of the woodlands. PLUS a home office with separate entry door. 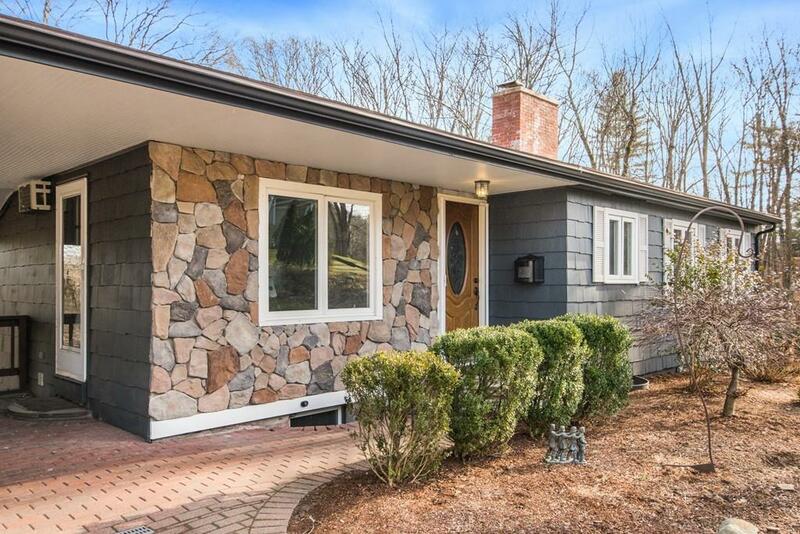 MBTA commuter rail to Boston is a few miles away, and this home is minutes to Armstrong Elementary, Gibbons Middle School and Westborough High. This sunny renovated home is in move in condition...book your showing today, it is not a drive by!